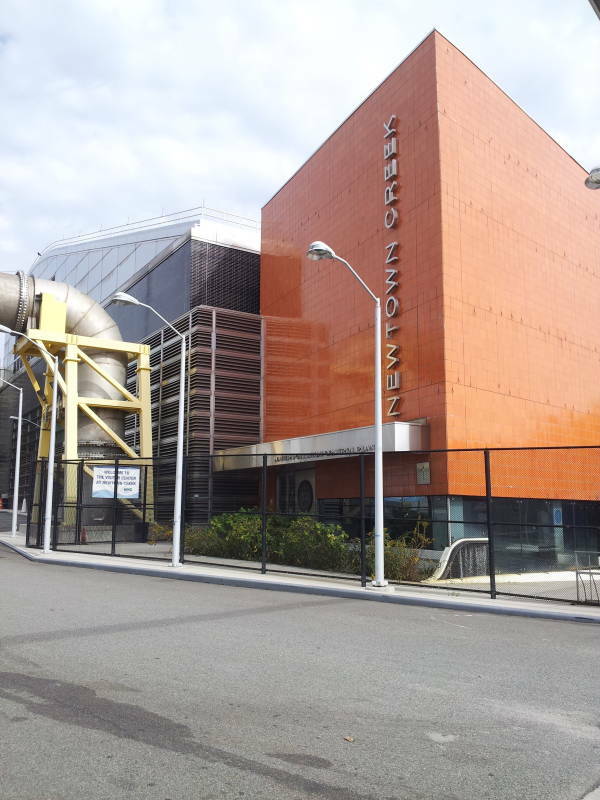 Newtown Creek Water Pollution Control Plant is the largest of New York City's 14 wastewater treatment plants. It serves a population of just over one million people in Lower Manhattan, eastern Midtown Manhattan, and parts of Brooklyn and Queens, an area of 63.5 square kilometers. 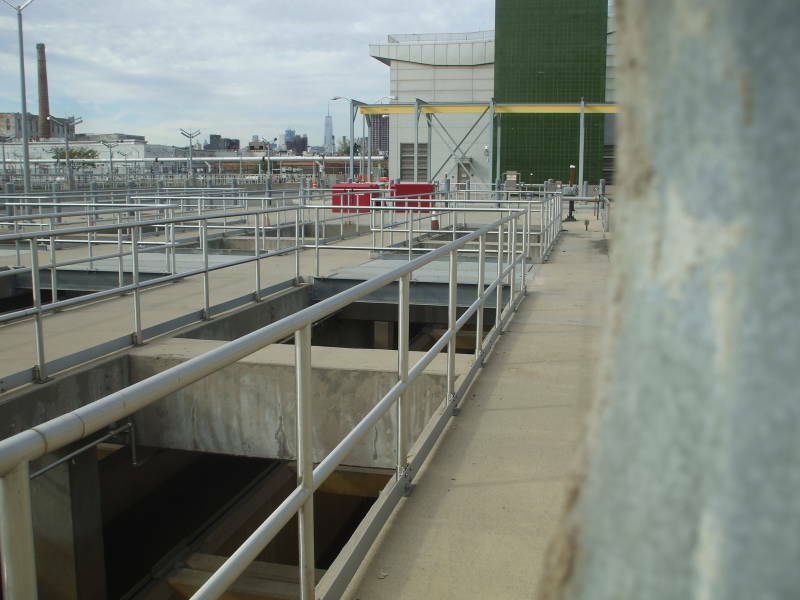 The plant can handle up to 1.8 million cubic meters of wastewater inflow each day. 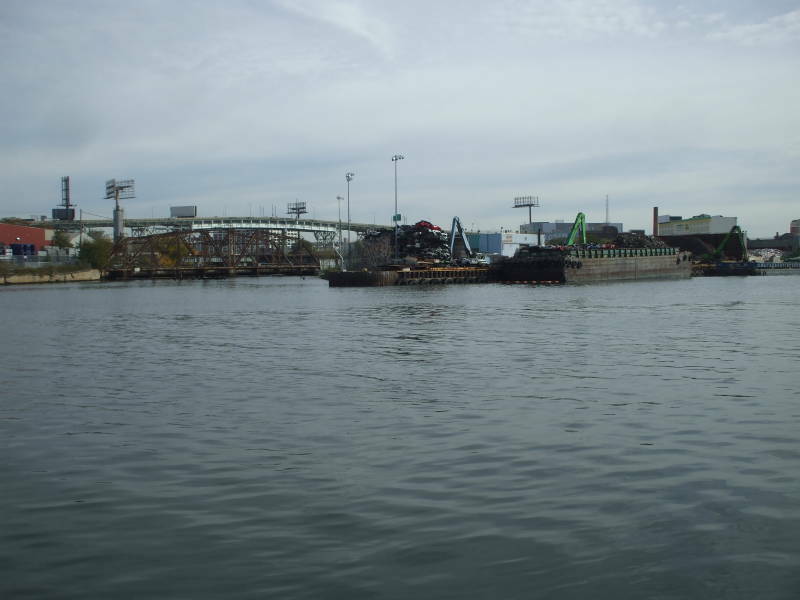 It lies on the Brooklyn bank of Newtown Creek, an estuary separating Brooklyn from Queens and emptying into the East River. New York has had a sewer system since the mid 1800s. The Croton Aqueduct opened in 1842, bringing clean drinking water into the city. Now the citizens used more water while taking much less out of wells and cisterns. The water table rose, and began flooding cellars. The city started building sewers. The sewer construction started in the tenement areas where cellar flooding was worse. By 1852, ten years after the Croton Aqueduct began operation, there were 238 kilometers of sewers. Now the city's Department of Environmental Protection operates a grid of 11,900 kilometers of sewer pipes. It collects and treats a combination of sewage waste and runoff from rain and snow. The system collects 4.9 million cubic meters of liquid every day. 96 pump stations move the wastewater to 14 treatment plants. 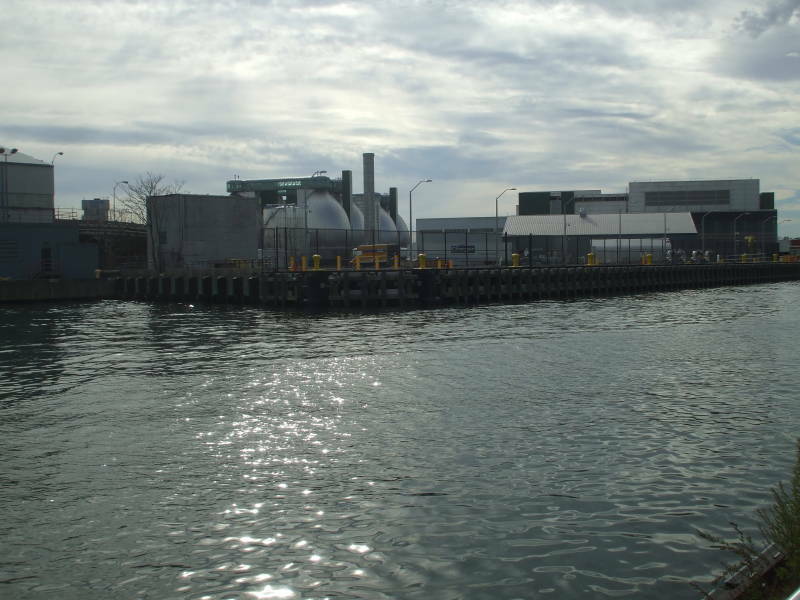 The Newtown Creek plant treats wastewater from northeastern Brooklyn and western Queens. 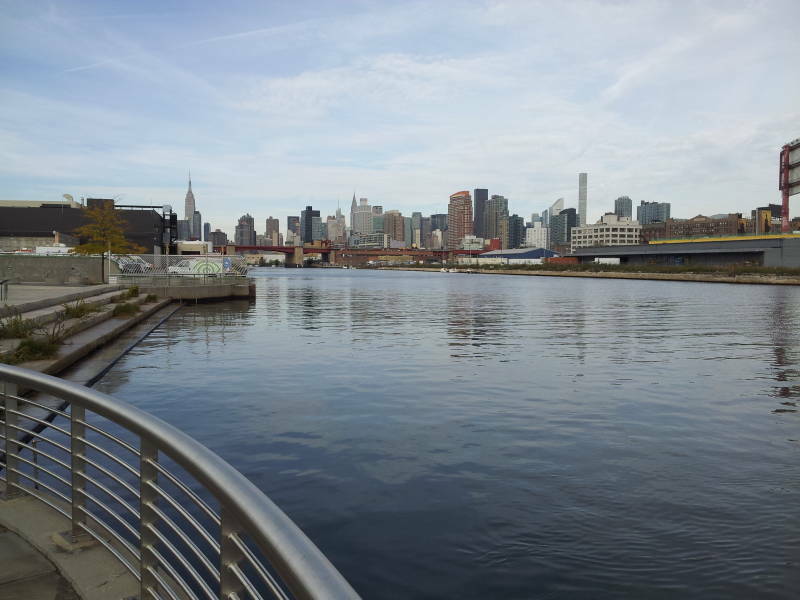 It also treats wastewater from much of Manhattan — from the Financial District at the southern tip north to Bank Street in northwestern Greenwich Village along the west side, and up the east side as far as 71st Street. The Manhattan collection bound for Newtown Creek converges at the Thirteenth Street Pumping Station. This is on Avenue D between 12th Street and 13th Street, near the East River, adjacent to a Con Ed electrical plant. From there the collected wastewater is piped under the East River to Brooklyn. The pumping station has a capacity of moving 1.5 million cubic meters per day. 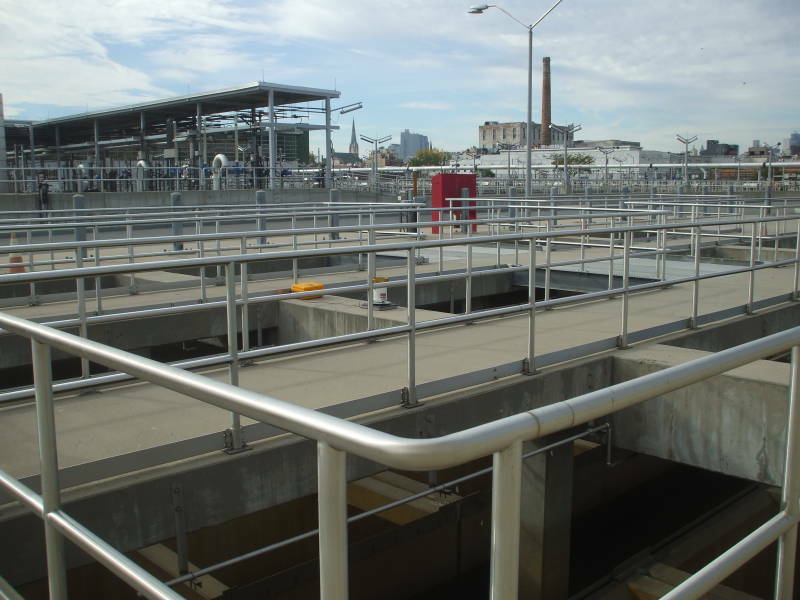 The Newtown Creek treatment plant has the capacity to handle 1.8 million cubic meters per day. Typical flow in dry weather is about a quarter of that. The problem is that even moderate rainfall can exceed the inflow capacity, with untreated sewage overflowing into the East River. 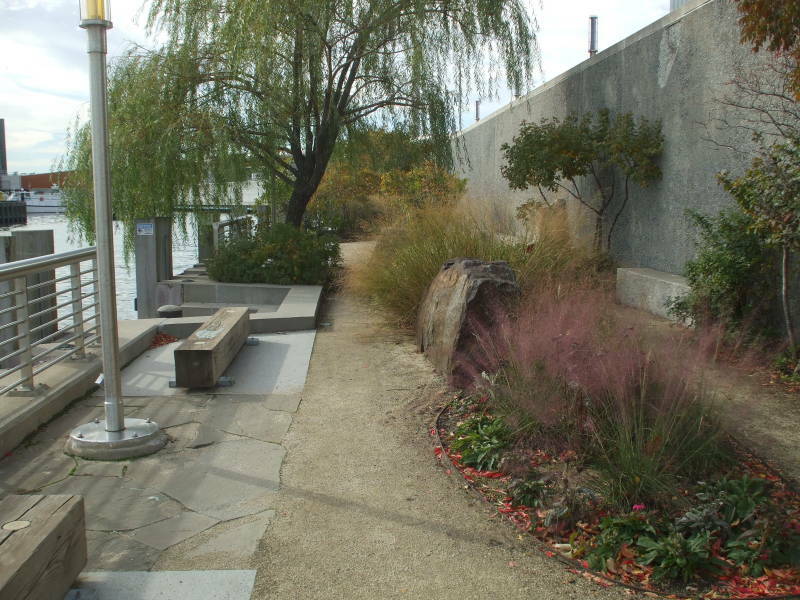 The plant lies on the Brooklyn bank of Newtown Creek. That's not a creek in the usual geographical sense. It is short and today drains only its immediate surroundings into the East River, which is a tidal estuary instead of a proper river. The East River splits further north, around the now joined Randalls Island and Wards Island. From there the Harlem River (again, not really a river) runs northwest, dividing Manhattan from the Bronx and connecting to the Hudson at Manhattan's northern tip. And, there is an opening to the east into Long Island Sound. Map showing the treatment plant in the Greenpoint area of Brooklyn, along Newtown Creek. There was a Dutch settlement of Nieuwe Stad in what is now the Elmhurst area of Queens. The British simply translated that place name to New Town when they took over from the Dutch in 1664. The nearby creek was more of a proper creek at the time, shallower but longer, wide enough for a few small islands. 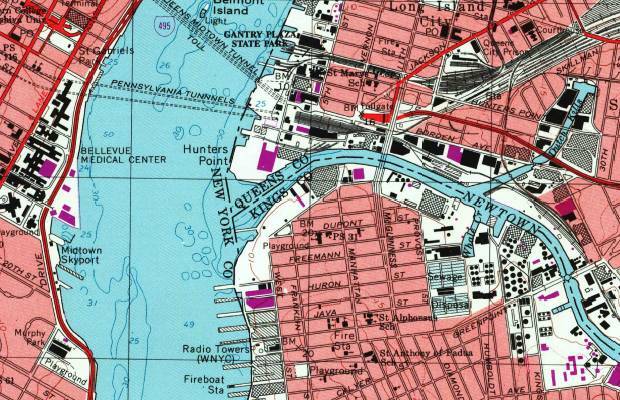 It drained the area now occupied by the neighborhoods of Greenpoint, Williamsburg, and Bushwick in Brooklyn, and Long Island City, Ridgewood, Sunnyside, and Maspeth in Queens. A strain of apples grown in the area were widely known, and praised by Thomas Jefferson and Benjamin Franklin. The British General Warren had his headquarters along the creek when the American Revolution began. Farmers used the creek to move their goods to market by barge in the early 1800s. That was all before industry moved in. Refineries were built in the area to process oil from Pennsylvania. The creek was dredged to support industrial shipping. John D. Rockefeller decided to base Standard Oil in Greenpoint. He started buying all the competing refineries in the area. By the 1880s the Greenpoint Standard Oil facilities were processing over 70,000 barrels of oil per week. Related industry moved in. Vaseline, the original petroleum jelly, was produced in the neighborhood. Paint and varnish manufacturers set up near the refineries, as did copper smelters and manufacturers of sulfuric acid and other chemicals. All of these industries either burned their waste material or dumped it into the creek. The city had begun dumping raw sewage into the creek in the 1860s. Animal rendering plants had started operating there in 1855. Queens was not yet part of New York City, so the city Board of Health had no jurisdiction over an industrial mess in Brooklyn. The Brooklyn Board of Health sided with the manufacturers. In 1924 the federal government passed a law limiting pollution by the oil industry. The industry had done its best to block the bill if it could, then weaken it when they could not stop it, but at least the law was something. Meanwhile there were multiple oil spills larger than the Exxon Valdez event. The surrounding neighborhoods are completely fitted out with sewer connections, so there is very little natural inflow of water to flush out pollutants. A layer of heavily polluted sludge from 5 to 8 meters deep has formed on the creek's bed. 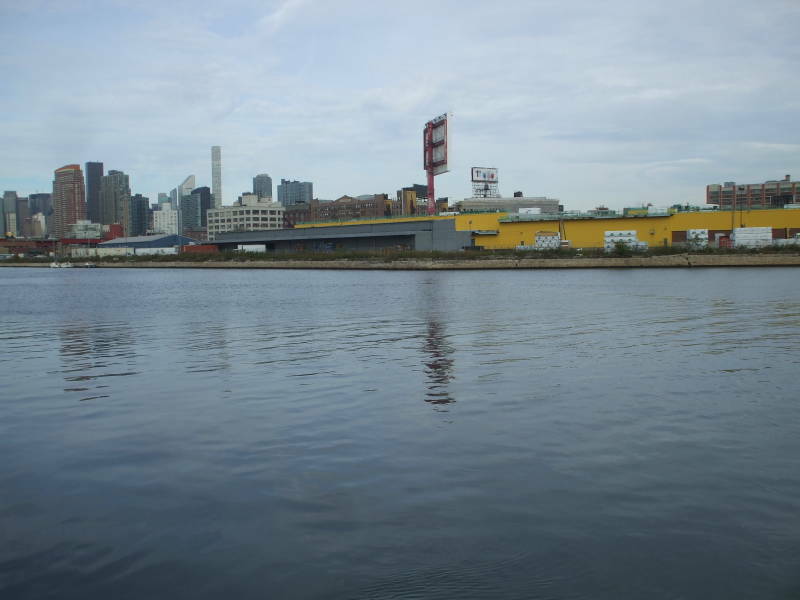 Newtown Creek was designated as a Superfund site in September 2010. The creek's bed and the surrounding land is saturated with petroleum products, heavy metals, and toxins. Newtown Creek, as seen from the Greenpoint Avenue Bridge. 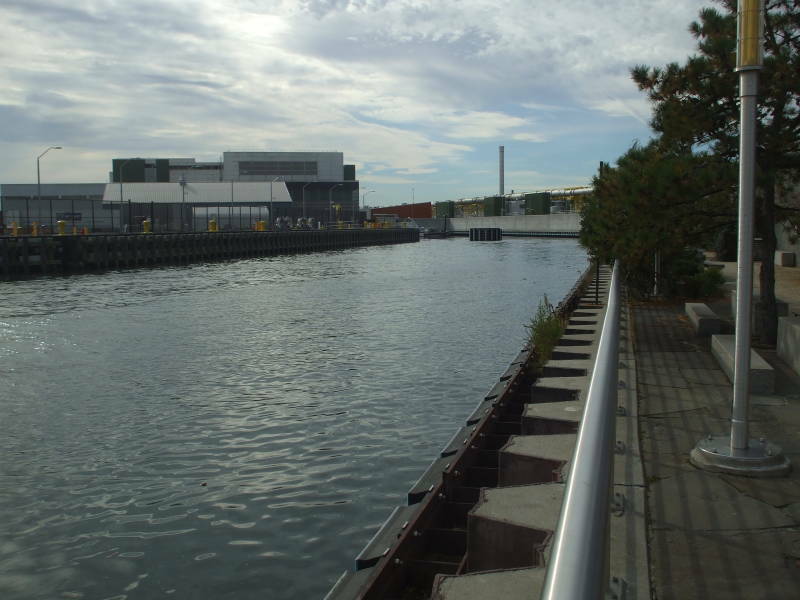 The Newtown Creek waste water treatment plant opened in 1967. It was expanded and modernized in the 2000s. 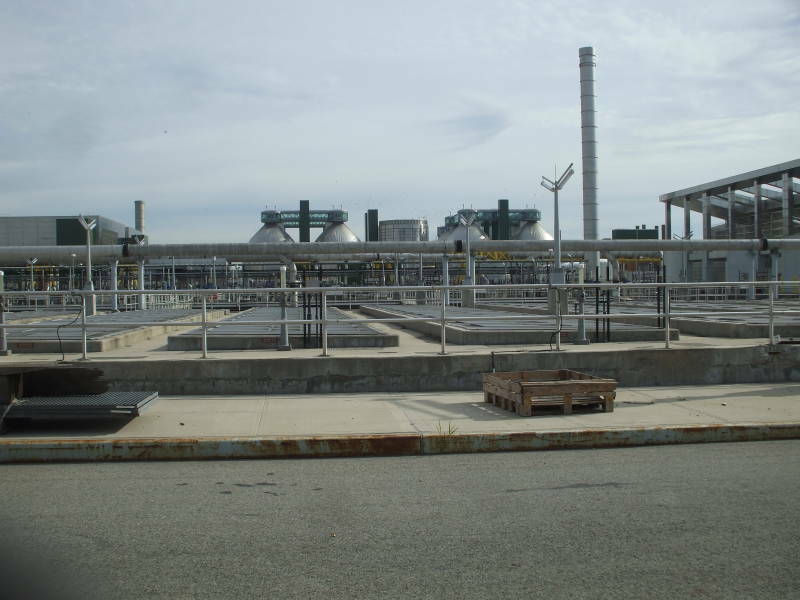 That project, completed in February 2009, increased its capacity by 50% and extended secondary treatment to all of its inflow. Even so, the city still is not in compliance with the 1972 federal Clean Water Act, which requires secondary treatment to remove 85% of the pollutants in the incoming sewage flow. Also, in 1992 the State of New York ordered the city to prevent sewage overflows by 2013, but they still happen frequently. 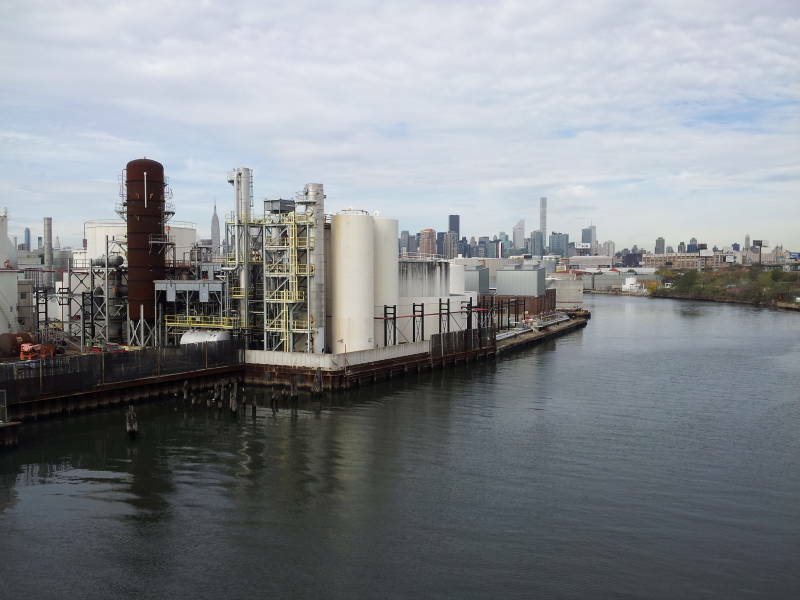 Pathogenic microorganisms, in addition to pesticides, petroleum products, heavy metals, polychlorinated biphenyls, and other pollutants overflow into Newtown Creek, and thus into the East River and on into the harbor. 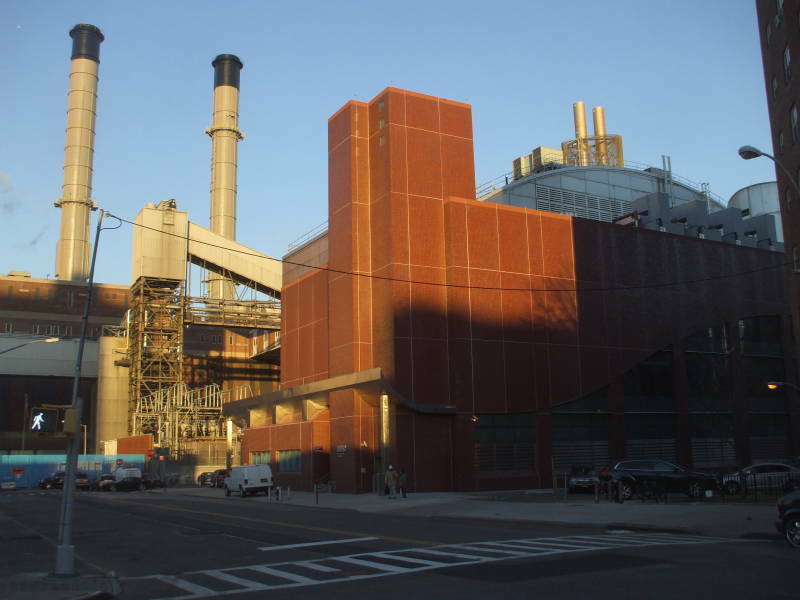 The city hopes to complete a fully compliant Newtown Creek plant by 2022. Looking back toward Manhattan from the Newtown Creek Nature Walk. The main entrance along Greenpoint Avenue includes a visitor's center. The visitor's center has a scale model of the plant, and displays on New York City's water supply and wastewater treatment systems. A long-term upgrade project began in 1998. It aimed to increase the plant capacity by 50% and get the plant into compliance with the U.S. Clean Water Act. The first was achieved by 2014, the second was not. The upgrade meant an expansion of the plant. The city appointed a group of local residents to represent the Greenpoint community's interests. That, plus a city law requiring that 1% of expenditures on public work go to associated public art, led to a Nature Walk that opened in 2007. You can access the Nature Walk from the end of Paidge Avenue, east of its intersection with Provost Street. Looking across Newtown Creek to Queens from the Nature Walk. Junk car collection along Newtown Creek. Whale Creek is a small inlet off the south bank of Newtown Creek. It is now a ship channel extending back into the plant area. The Nature Walk continues down the west side of the Whale Creek inlet. Whale Creek inlet off Newtown Creek. The Nature Walk has plantings of indigenous plants, with explanations of how the indigenous people and the early European settlers used the various plant species. Nature walk along Whale Creek inlet. 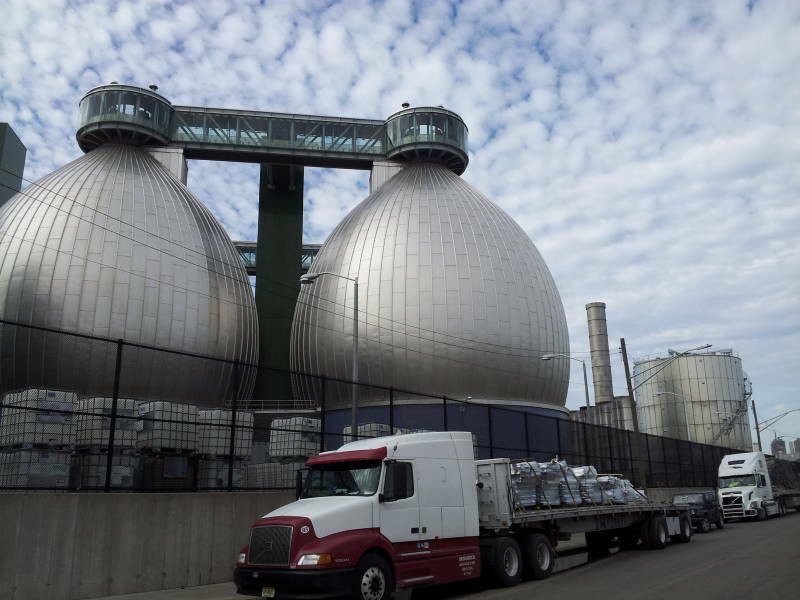 The eight "digester eggs" are the distinctive landmarks of the Newtown Creek plant. They're 42 meters tall, and illuminated with blue lighting at night. The sludge is heated in an oxygen-free environment. Anaerobic microorganisms break down organic material in one of the last stages of sludge treatment. 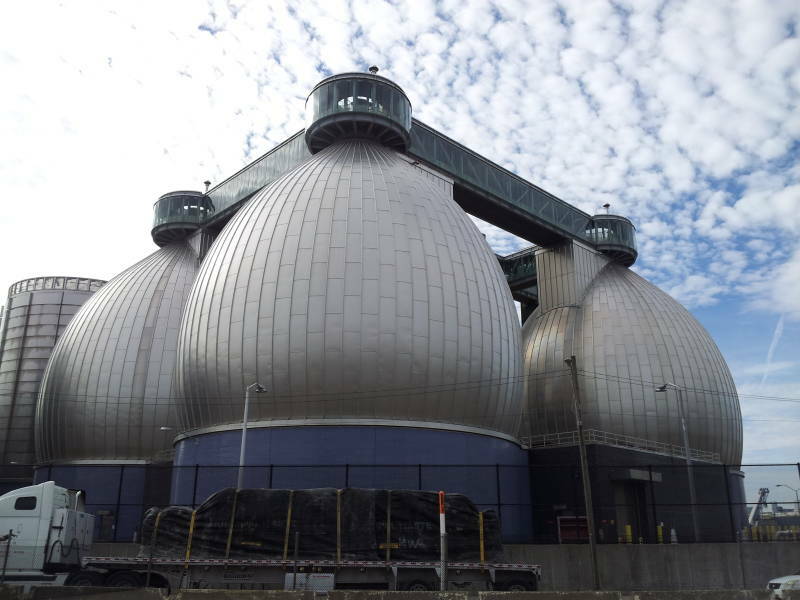 The famous "Digester Eggs" used for anaerobic digestion of sludge at the Newtown Creek plant. 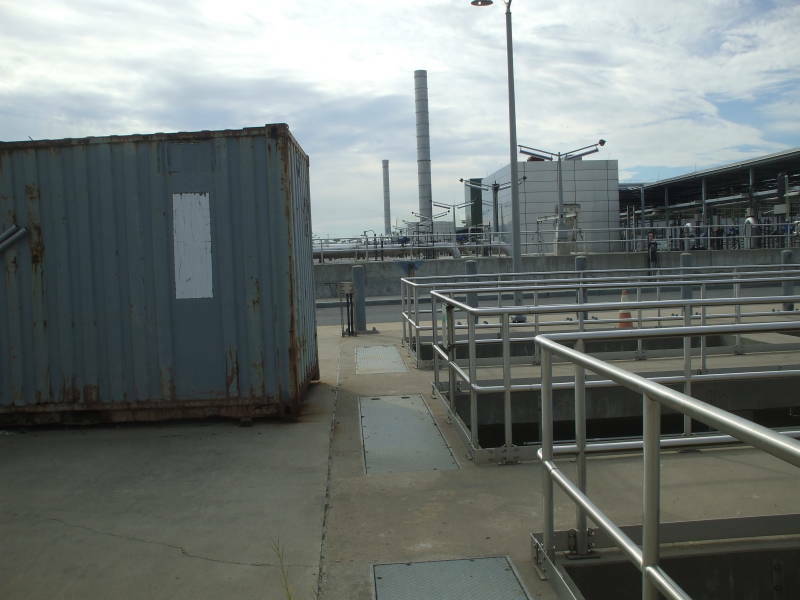 The sludge coming out of anaerobic digestion still has a high water content. Dewatering results in biosolids, a material used as fertilizer or soil replacement. It is especially useful as fertilizer if the phosphorus content has largely been captured in the solids. Specific bacteria strains can accumulate phosphorus, with up to 20% of their mass being phosphorus. Phosphorus that remains dissolved in the water will be discharged into the environment, leading to algae blooms.